Trying to correctly optimize pricing is among the more difficult challenges you will face in your business, especially in enterprise software, where you are already pricing in a matrix. It is definitely worth the effort, however, because once you master it sufficiently, you’ll see major gains in revenue – per McKinsey, an 8.7% increase in profitability for every 1% increase in price. To increase prices without a drop in volume, one of the most important strategies to utilize is known as value based pricing. With that in mind, let’s delve deeper into value based pricing and explore the steps you can start using today to impact your bottom line. While there is a lot I could write about value based pricing, the basic aim is to determine how much each of your clients will willingly pay for your merchandise. That allows you to maximize your revenue by charging each of your customers the exact amount they are willing to pay – no more and no less. At that point, you’re at an equilibrium for the price you are charging, supplying just the correct amount of value to your customer base. Seems quite simple, right? Well, sort of… Figuring out exactly what the customer values is more difficult than it sounds and assigning a price elasticity coefficient to a feature set, especially so. This is the reason why so many companies choose instead to concentrate on cost plus and competitive pricing (the paths of least resistance, but also the path of least earnings). But hey, you are smarter than that (since you are reading my site) – so let’s look at the major steps involved in value based pricing. Personas are fictional characters that symbolize your ideal customer, the people whom you believe to be the perfect fit for your product. Your product will most likely fit the requirements several different classes of customers, which means you’ll need multiple buyer personas. One might be Founder Frank, the CEO of a startup who wants a service bundle that is smaller with fewer bells and whistles. Another might be Promotion Paula, the head of marketing for a large public corporation that wants an enterprise sized package. What is important here is to define precisely who these personas are by thinking about things like their individual background, their function in the company, any challenges they might face, their bosses’ expectations, their needs and pain points, and what motivates them to use or try your product. Another critical point here is that as a company with an operating product, you should already have a good awareness of who your customer is. If not or the product is a new release, then start with step 2 and then circle back to this one once you have the data. The purpose is really to understand them in and out because they’re the most essential part of your value based pricing strategy. Without them, you won’t be able to develop your target customer base, which lays the basis for the remainder of the steps in the procedure. Be sure you don’t skim over this step, and make certain everyone in the company knows who the buyer is. You talk to your customers about their pain points, favorite colors, and what they love about you, so there’s no reason you shouldn’t talk with them about the value they get from your product as well. Value based pricing is all about information, both the qualitative as well as the quantitative. What this means is that the second step of the value based pricing process would be to gather customer data by getting information as to their price empathy and precisely what characteristics/benefits they value most in your product. There are numerous methods out there but the most fundamental is picking up the telephone and calling someone. It’s mandatory that you target your surveys to those who match your buyer personas so you’re collecting data from individuals who you think are really interested in purchasing your merchandise, whether they’re prospects, actual customers, or marketplace panels. In addition, you wish to bear in mind that your clients are doing you a favor by filling out your survey, so be sure to value their time by keeping your surveys short and objective (hey, pay them if you have to, its worth it). Super. You have collected some data and spoken with a few customers. Now geek out on analyzing the patterns in attributes, advantages, and price points your different buyer personas value in your merchandise. I promise you patterns will begin to emerge that enable you to make tiers and appropriate packages for your product. Each tier should align with a specific buyer persona to make sure you are offering the correct amount of product/service to each distinct customer segment. Going back to our earlier example, if you find the individuals who match your Founder Frank persona really value a smaller, but affordable, package with enhanced customer support, you ought to create an entry level tier with those features. Similarly, if the people who match your Promotion Paula persona are willing to pay more for a package with lots of cloud storage and unlimited user licenses, then make an enterprise tier that matches her needs. After all, you wouldn’t want to charge a large public enterprise the same cost for your service as a small startup, particularly if the big firm is prepared to pay more. Understand, that it is not simply squeezing more money out of a client who may be willing to pay – it’s making sure that your offerings maximize the value gained by each target persona. Then they are happy to pay more because it is worth it for them. Just remember that pricing is a process not an achievement. Customer valuations are always evolving due to things like changing consumer trends along with the developments in technology. These changing customer preferences and market conditions means your pricing strategy and tiers should be examined often to stay fresh. Don’t be stuck with a fixed server pricing strategy in an Amazon Web Services world. You have to continuously gather data and assess worth and cost sensitivity in order to be sure that what you’re offering is applicable to what your clients are searching for in your products. 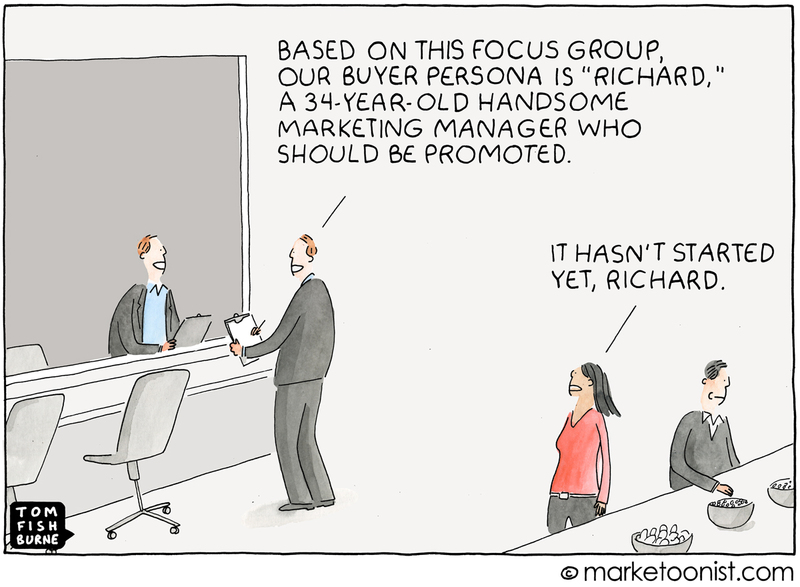 Remember, also, to constantly validate your customer personas and their respective tiers. They ought to match up to your expectations, meaning that your enterprise tier should be mostly subscribed to by large enterprise customers. If, as an example, small businesses are flocking to your enterprise tier, then it might be wise to reevaluate and expand your service offerings so that you will have a package to target the biggest customers, and the additional revenue they are willing to spend for the feature set they want. The old adage, “The customer is always right” is particularly true for value based pricing models. No matter what you want to charge for your service and no matter how you think it may be justified, it’s the customer who has to actually be willing to pay it. So it’s incumbent on you to make sure that the value created for the customer and the price they pay for it matches up. Business is a healthy balance, and pricing is among the best representations of that belief. Everyone can win, from the customer getting exactly what they need at a fair price they are willing to pay – to your company developing a fantastic pricing strategy that optimizes revenue by aligning everything correctly.